Common signs include the car not starting, the key getting stuck in the ignition or not going in, and issues power on the vehicle. The ignition lock cylinder is the cylindrical tumbler and key that is used to power on and start the vehicle. While many newer vehicles are now being manufactured with push button and keyless power and starting systems, traditional ignition lock cylinders are still commonly found on many road going cars and trucks. The ignition lock cylinder is usually located on the right side of steering column, just behind the steering wheel. Most ignition lock cylinders operate in four positions, the first to unlock the steering wheel, the second to power on the vehicle’s accessories, the third to power on the vehicle’s computer and fuel system, and finally the last to crank the engine. When the ignition lock cylinder has issues it can cause problems with powering on and starting the vehicle. Usually a faulty ignition lock cylinder will produce a few symptoms that can alert the driver of a potential issue. Issues with inserting and removing the key are another symptom of a potential problem with the ignition lock cylinder. 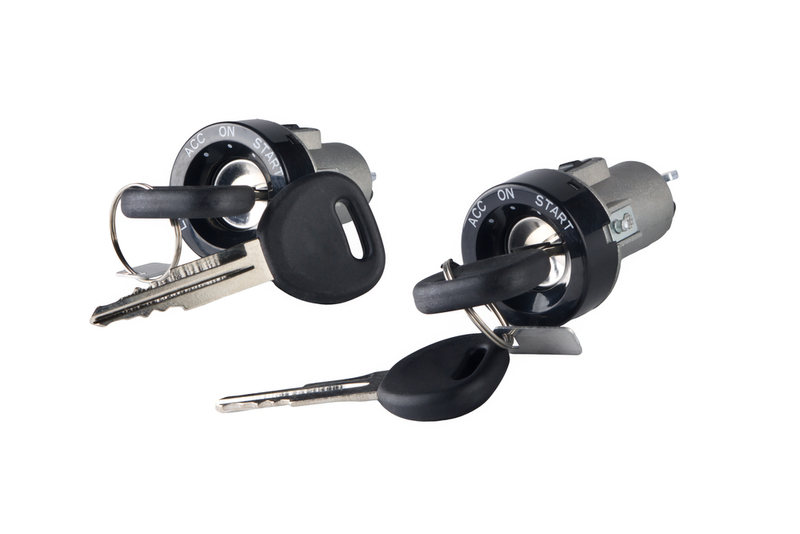 As the key is repeatedly inserted, removed, and turned, both the cylinder and key will eventually begin to wear and cause issues with the operation of the cylinder. A worn cylinder may jam or bind when the key is inserted, removed, or turned, which can interfere with powering on and starting the vehicle. Usually issues such as these will continue to worsen until the key will no longer fit and unlock the cylinder properly. While newer vehicles are now being shipped with push button and keyless starting systems, ignition locks are still commonly found on many road going vehicles. If you suspect that your vehicle’s ignition lock cylinder may be having an issue, have the vehicle inspected by a professional technician, such as one from YourMechanic, to determine if the cylinder should be replaced. Q: How do Keyless Push-Button Start Systems Work?